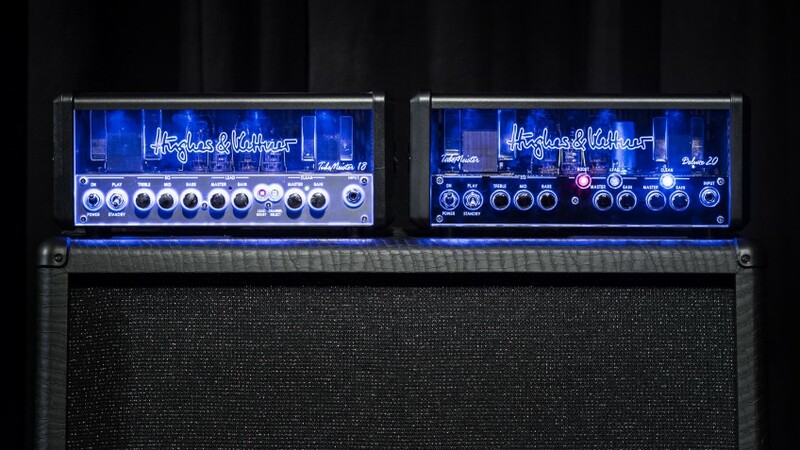 “The biggest change from the previous models is not something you can see… but you sure can hear it!” said Rüdiger Forse, Hughes & Kettner’s Senior Product Manager, in an interview about the TubeMeister Deluxe 20 and 40 models at the 2016 NAMM show in Anaheim, California. With this cryptic statement, he was alluding to these new amps’ fundamental sound. And he was right; these new models don’t just rehash an old formula. There’s something fundamentally different about their tone. One could say it’s more direct yet airier, warmer yet more assertive, beefier yet with bell-like chime. But whatever descriptive adjectives you want to use, TubeMeister Deluxe definitely serves up a refreshingly different flavor of sound. And one of the main reasons why it ladles out such tasty tone is a much-loved and often talked about amplifier circuit called a cathode follower. Although it’s a classic tube-driven circuit, a cathode follower never featured in the smaller TubeMeister 18 amp – but the TubeMeister Deluxe 20 changes all that. This was evidently newsworthy: the NAMM show had been underway for just a few short hours, but word had already gotten out about this venerable circuit’s inclusion in a very modern amp. 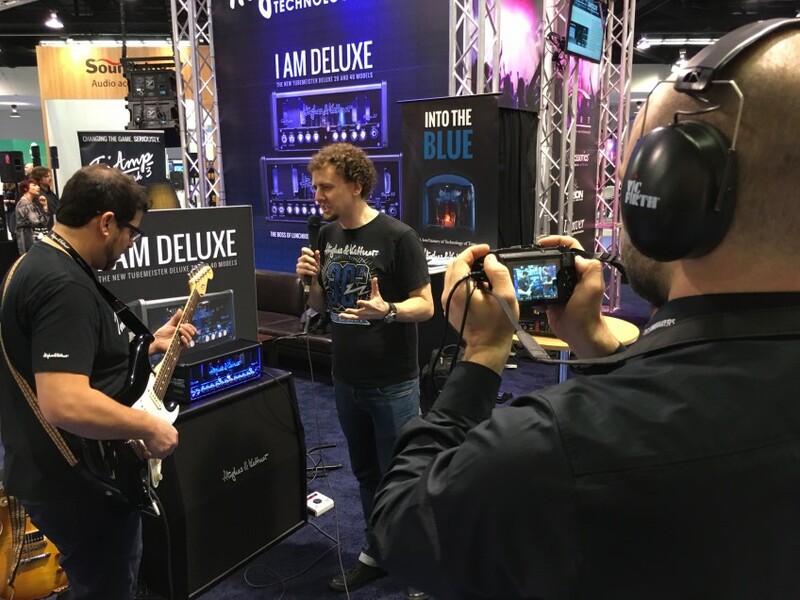 TubeMeister Deluxe and the cathode follower under the watchful eye of the world’s media at the 2016 NAMM Show in Anaheim, California. Ask vintage amp enthusiasts about the cathode follower at your own peril. Many will get a little gleam of love in their eyes, and start gushing about how it’s the pack mule among tube circuits, with a mean kick that’s perfect for driving tone stacks. Ask them to elaborate, and you’ll hear more than you ever wanted to know about less-than-unity gain, output impedance generally reciprocating transconductance, degenerative feedback, and a power supply rejection ratio somewhere around the inverse of the mu. That’s interesting and all, but… er, what the hell does all that technical stuff actually mean? What is this legendary cathode follower, and – most importantly – how does it make our guitar tone better? To put it (almost) simply, a cathode follower is an impedance conversion stage within an amplifier circuit that transforms a high-impedance signal into a low-impedance signal. The latter is less susceptible to interference and can have a beneficial effect on tone. The explanation for this has to do with sine waves, synched oscillations and overtones, but we’ll spare you the details. It takes a fairly firm grasp of electrical engineering to understand the intricacies of the theory behind the cathode follower. For our purposes here today, suffice it to say that not every preamp circuit under the sun stands to benefit from an added cathode follower. 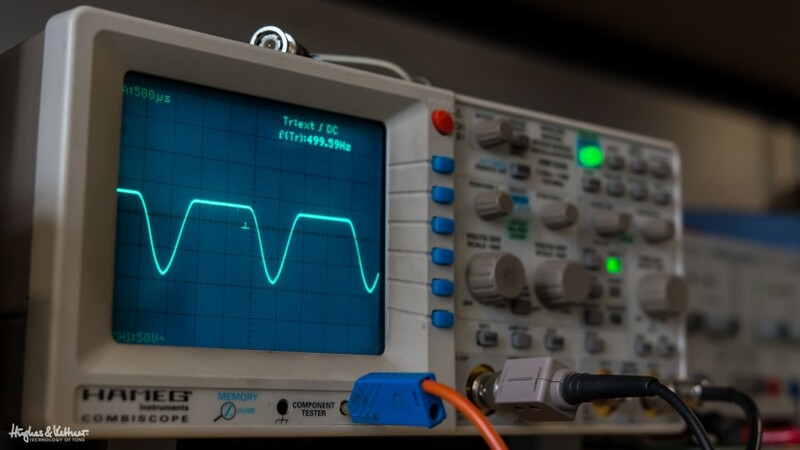 The screen on this oscilloscope reveals one of the cathode follower’s tonal secrets! The upper half of the wave represents distortion, while the lower part stays half clean. This mixture of clean and distorted sounds represents the typical flavor – pure attack and dynamic response mixed with a delicious creaminess – of a cathode follower-endowed amp. It’s a wise choice for some guitar amps, and a no-go for others. So how do we know when it’s a viable option? There’s only one standard to go by: tone is the measure of all things. Do all amps have cathode followers? There are plenty of examples of great amplifiers that do not feature a cathode follower. Other amps have it both ways, with one channel that works with a cathode follower and another that does without. The Hughes & Kettner Coreblade, for instance, uses a cathode follower circuit to conjure clean tone, but the circuit’s role in shaping distorted sounds is limited. Cathode follower circuits are said to lend the tone a special flavor, as a number of classic guitar amps would go to show. A lot of this is down to the harmonics, generated by the cathode follower stage, that enrich the output signal. Early Fender Bassmans, the Marshall JTM and several Vox amps were all equipped with a variation on the cathode follower theme. Although each amp maker used a somewhat different design or placement within the circuit, its presence certainly shaped the tone of these amps – and by extension, our perceptions of what rock ‘n’ roll guitar sounds like. In the TubeMeister Deluxe 20 and 40, the cathode follower stage is largely responsible for shaping the brown sound, as this most popular flavor of tone has come to be known. TubeMeister Deluxe’s take on this tone is based on the tone of the TriAmp Mark 3‘s channel 2B, which in turn was inspired by the sound of a hot-rodded Marshall. The texture of this tone is very intensive, lending an edge to the TubeMeister Deluxe 20 and 40 that makes them sound a lot louder than their 18/36-watt forebears, the TubeMeister 18 and TubeMeister 36. They certainly pack a bigger punch than the added two and four watts, respectively, would account for. In any event, we’re talking about much more than just an upgrade here. There’s something special going on inside these housings, and you can hear it as soon as you power up, plug in, and wail away. They’re deliciously responsive to your picking attack and give you loads of dynamic range. And this response is very musical, with just enough natural compression to sound and feel good. Again, these amps come across as bigger, beefier and bolder. In TubeMeister Deluxe, this boost can’t just be down to the nominal increase of two or four watts of power – so it has to be this circuit that’s adding the extra assertiveness. 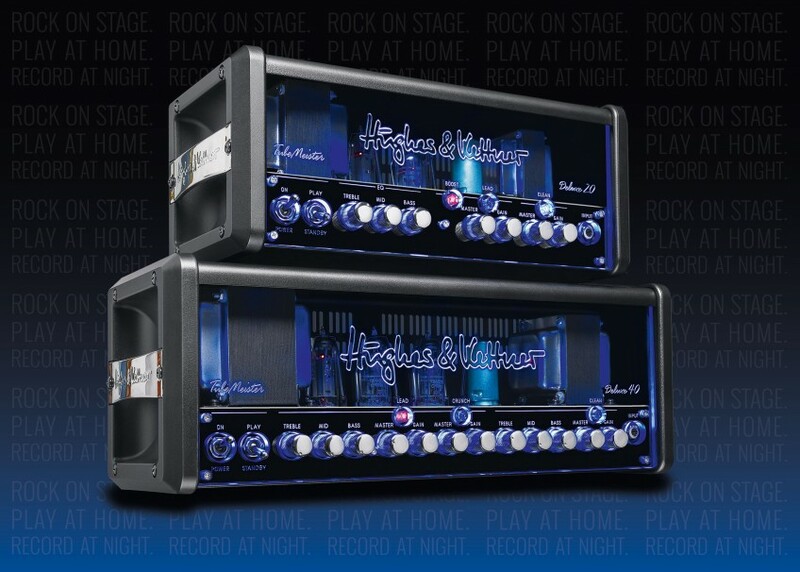 The Hughes & Kettner TubeMeister Deluxe 20 and Deluxe 40. Cathode follower? Check. The Deluxe amps mix the best of traditional tube tones with state-of-the-art technical features, making your life as a guitar player more fun, easier – and better sounding – than ever before! The zesty flavor of tone the cathode follower delivers results in an amp that’s a pretty awesome combination of old and new – a time-tested guitar amplifier circuit, the cathode follower, paired with a tube-driven power amp, a power soak and the game-changing Red Box AE. And that makes up a very solid FRFR package indeed (read all about the benfits of FRFR – that’s full range flat response – here). Take a bow, designers! Classic tube tone, cooked up with the finest ingredients and the tastiest traditional recipes, all ready to go right out of the box: 21st century amps like these truly are a crossroads where tradition and modern-day innovation converge; where the cathode follower and FRFR coexist in the happiest of unions. Are you bothered about whether your amp has a cathode follower? 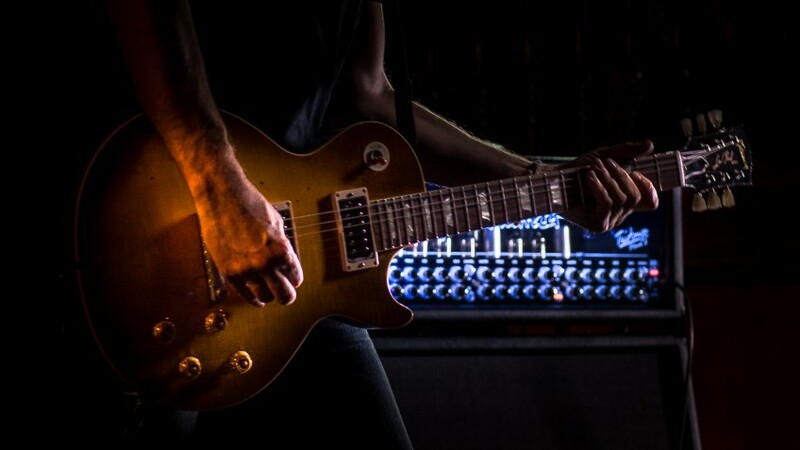 Does the technology behind guitar tone matter to you? We’d love to know, so let us know in the comments below… Because there’s plenty more tech talk like this to come from us if you want it! First published: March 04 2016. Most recent update: March 17 2016. I have to correct myself after checking the schematics available online – the Blackstar amps I named do not feature cathode followers (but they do use a solid state phase inverter). This is an interesting blog entry, thanks! As for the case study: The Blackstar HT-1 and HT-5 also use a solid state phase inverter to save a tube. They also feature cathode followers but not DC-coupled ones, if I remember correctly. I tend to agree in theory without knowing all of the circuit details that a (Low Z) higher current lower voltage before the signal is amplified would potentially have more thickness to it and could potentially give a thicker beefier sound to be amplified by the power section. I think of current like a river. The stronger it is, the more things it can carry, including Tone. My problem, I just bought a TubeMeister 18 head and love it. It sure seems to get a lot of attention online. Can the 20 be that much better? Also, my TubeMeister 18 amp do not allow the DI out to be used along with a speaker for monitoring like my other “unnamed” amp I have been using live. This allows me to control the DI out to the PA system separately from my amps speaker volume which is great for monitoring myself. Is there a mod to make both outputs work at the same time? Would you potentially need a Master volume for that? Hi Kenny! OK, so TM Deluxe 20 Tone: we wanted to come closer to the tone of the TriAmp Mark 3, especially the brown sound. The cathode follower was needed to achieve this kind of tone. But it’s not just the cathode follower that makes the difference – there are 5 years of research in-between the TM 18 and the 20, so a lot more experience has gone into the 20’s tone. But you never can say how much “better” it is – it’s different, and the most people like that difference, but tone is ultimately a personal thing. Regarding the DI out, that depends on the master: your “unnamed” amp takes the DI out from the preamp, so it is independent from the power amp. But then you only get “half” of the tone. If you pre-adjust the volume of the amp with the power soak, then it should work to use the DI OUT for both. Decades ago we had come to a point in Power Amp design of very low THD distortion figures etc .It took a lot longer to design speakers (drivers ie) and speakers (enclosures i.e.) that had anything like a flat response efficiency. Having been in the field for 55 years I believe the next area to devote R & D funds to is the source of the sound before it reaches the amp and using lasers to get a 3D picture of the flight path of the string, respecting that the sound coming out of a cone attached to a driver travels in a cylindrical column with compression waves followed by rarefaction waves. If rarefaction meets compression at the same time we have no sound at all- (cancellation) .If we have compression meeting compression = phase reinforcement . So far because of our limited learning of the science of electromagnetic laws & light (7/12ths thru the 49th octave to the end of the 50th octave ) esp static resonance eg a vibrating string giving a 2D picture by cutting horizontally across the pick up coils. Then how do we get a 3D picture of the strings travelling in a 3D way?. I learnt from years of working with Richard Priddle to KISS (keep it simple Stupid) the analysis all the time. Have a look at Q Tuners designed in Holland using 3d inductance coils in the form of magnetic tubes. Interesting. Hmm, we can’t understand what you’re saying here 😉 Can you try in English or German? You mentioned the the Deluxe is based on the tone of the Triamp MK3’s 2-B channel. Aside from having its own separate eq and tube switching options, are there any differences between the MK-3 and the previous Mark amp circuits? And do the MK amps have a cathode follower setup? One odd question I have to ask is, years ago when Sovtek introduced their 12ax7LPS, there were complaints that the tube wasn’t good as a cathode follower tube. Any reasons why certain tubes may be good or bad for that V-slot? Hi Ted. Yes, the TriAmp Mark 3 was a total overhaul of the MKII in pretty much every respect – from the controls on the front and back panels to the channel and sound designs. The higher gain channels in particular experienced a huge evolution between the MKII and the Mark 3. You could say we brought the amp into 2015 (and beyond!) in that respect 😉 Some of the tones you’ll get from channel 3B didn’t even exist when the MKII came out. And yes, TriAmp has a cathode follower! (In parallel with Facebook post on your site) Yes, I want more technical info, a lot more, as do many others I know. In fact I would really like your tech guys, (not the marketing department), to set up a small library of H&K Technical Articles on aspects of valve amplifier design as they relate to H&K’s own approach. I don’t necessarily mean you should release details of your designs themselves, I’m sure you would want those kept on a need to know basis. However, articles on general topics such as: valve distortion good and bad, choosing amplifier circuit configuration, phase splitter design, output stage design, valve substitutions good and bad, audibility of measurable distortions, would alll be interesting to lead. This used to be done long in the past and generated a lot of kudos for companies who did it, but it has now fallen out of favour against pure marketing releases with frankly unsubstantiated technical claims. You could gain a lot of free publicity even amongst non-H&K users and a place as one of the market’s top technical innovators if you allocated just a little occasional time to this! After all how much time is spent updating the Blog of Tone? This could be at least as productive. Like we said over on FB, we’re looking at doing a few more articles of a more technical nature soon, and maybe interviewing the designers/engineers who come up with and develop our amps. It’s certainly a good idea, and it’d hopefully end up being an interesting and useful resource for players who want to go slightly beyond the usual tone tips we generally give on here. Let’s see what we can do! Hey Derek, thanks for the kind words! 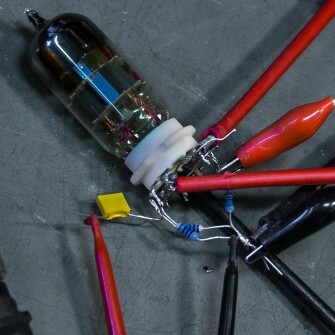 Yep, the cathode follower has played an unbelievably huge role in defining what we now think of as great guitar tone, despite most of us not knowing what it actually is 😉 But now you do!